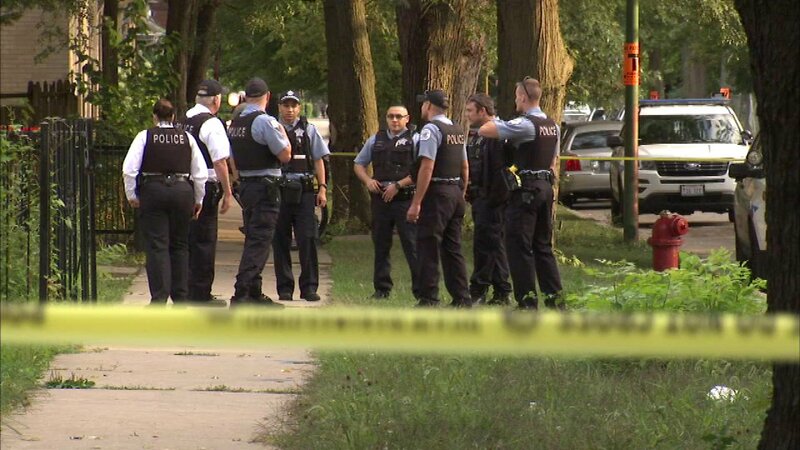 CHICAGO -- A 14-year-old boy was fatally shot Tuesday afternoon in the South Chicago neighborhood, police said. At 5:02 p.m., he was standing on the sidewalk in the 8000-block of South Manistee when another person walked up, pulled out a weapon and fired shots, according to Chicago police. The boy suffered gunshot wounds to the abdomen and left leg and was taken Comer Children's Hospital, where he later died, police said. The Cook County medical examiner's office did not immediately provide information on the fatality. No one was in custody Wednesday morning as Area Central detectives conducted a homicide investigation.